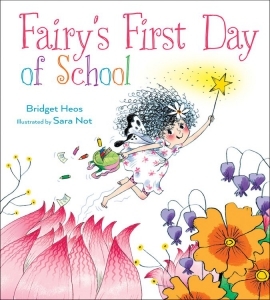 In this humorous and reassuring picture book from the author of Mustache Baby, a sweet fairy has a fun-filled first day at school. Her experience is remarkably similar to the first day of preschool for human children. From circle time (sitting crisscross berry sauce) to center time (art, spells, tooth), all the activities one might encounter at school are explored, with sweet fairy-like touches. Best of all is the kind, warm teacher and plenty of new friends. The perfect story to ease fears and build anticipation for any child - human or fairy - starting school for the first time.